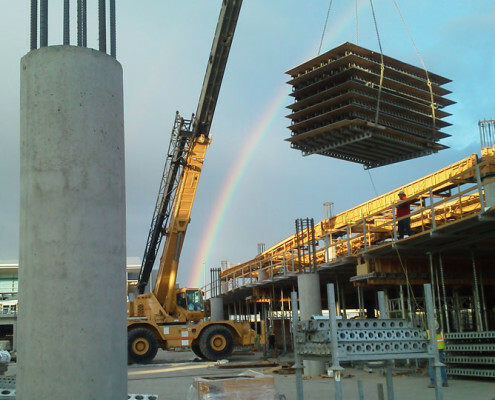 McAlvain concrete owns and operates a fleet of hoisting equipment. From tower cranes, rough terrain cranes, forklifts and boom trucks, McAlvain crews have the experience and expertise to provide any hoisting needs for your project. 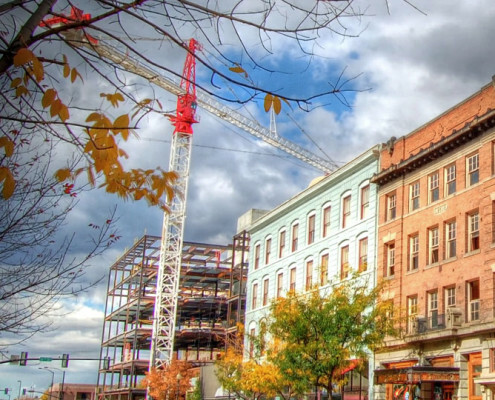 For those projects with distinct requirements, our extensive relationships with hoisting subcontractors in the Northwest allow for our crews to provide any sized equipment for the client’s needs at the best possible prices. 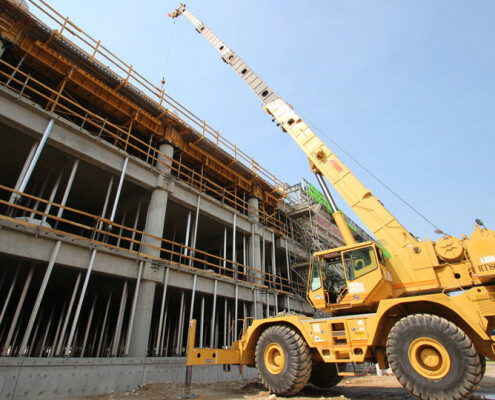 If your project has unique hoisting needs, our experience with hoisting construction materials to the required location will provide the client with right sized equipment in the most efficient manner possible.